Kitchen items giveaway + Montessori Madness book! Did I tell you I had a suprise? 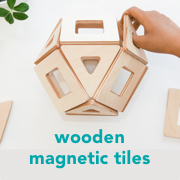 Not only is the Montessori Shop giving away a kids kitchen pack they are also giving away a copy of Montessori Madness by Trevor Eissler! This is a great giveaway. To be in the running leave a comment giving me your best tip for cooking with children. My best tip? Do it often, everyday if possible! This great giveaway includes; Montessori Madness book, 500ml pitcher, 250ml pitcher, child sized dustpan set in blue (this set is made in Germany and is great quality) and a child sized apron (handmade), rolling pin, tongs, spatula and a grater. Wow! 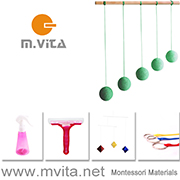 The giveaway is thanks to the Montessori Shop, you can see all of their practical life materials here. To enter simply leave a comment in the comment section of this post telling me your best tip for cooking with children. Comments close Monday 30th July 2012 at 10pm AEST. The giveaway is open internationally but please only one entry per person. If you need some insipration for cooking with children have a look at our new book Kids in the Kitchen. You can also read reviews of the book here.